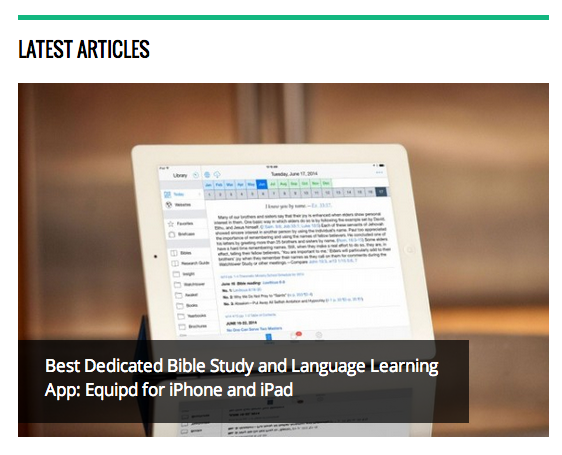 I woke up this morning to find a review of Equipd on AppChasers.com, where Equipd is featured as the "Best Dedicated Bible Study and Language Learning App". It even includes a video review which is great. I have had grand plans around doing video tutorials for Equipd for a long time, and I was really impressed to see somebody else beat me to it! Check out the full review and see what you think.